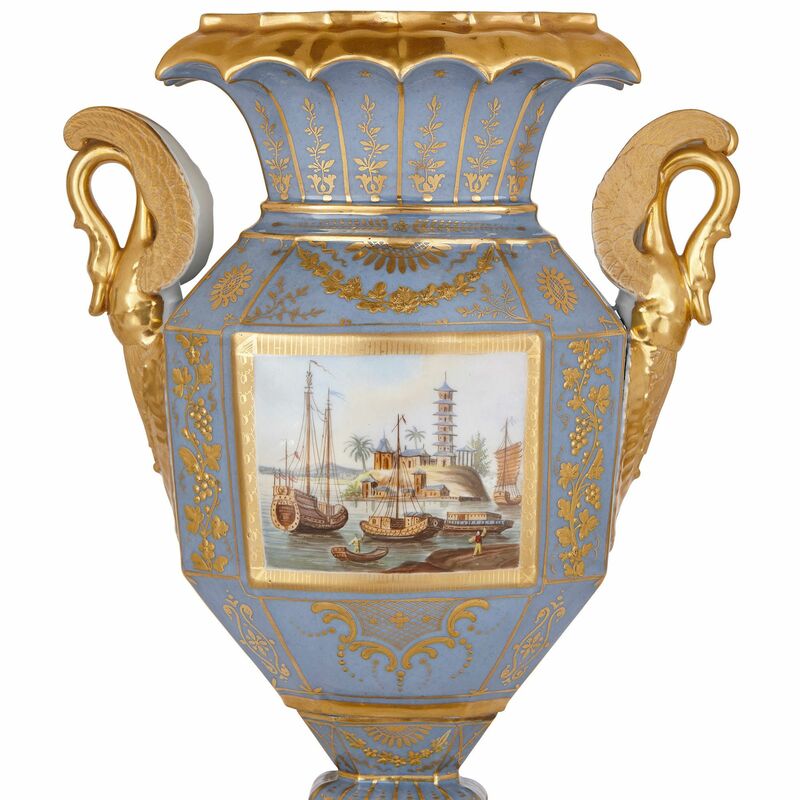 These exquisite porcelain vases feature Chinoiserie style riverscape paintings, beautiful parcel gilt foliate ornament and and gold swan handles. 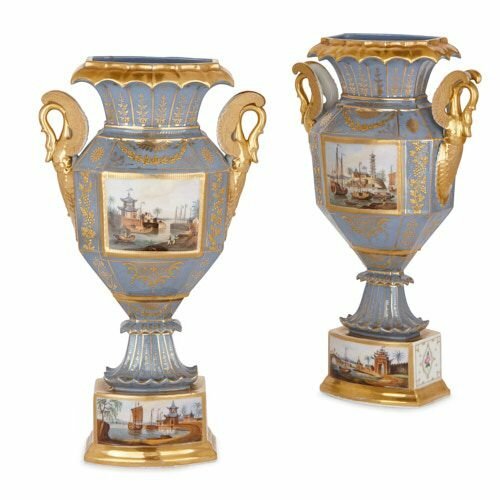 The vases stand on shaped rectangular bases, which have been crafted from porcelain, parcel gilt and painted, on the front and back, with riverscape scenes. The paintings depict boats sailing on rivers, spanned by bridges, with multi-tiered Chinese gateways, pavilions and pagodas on the banks. 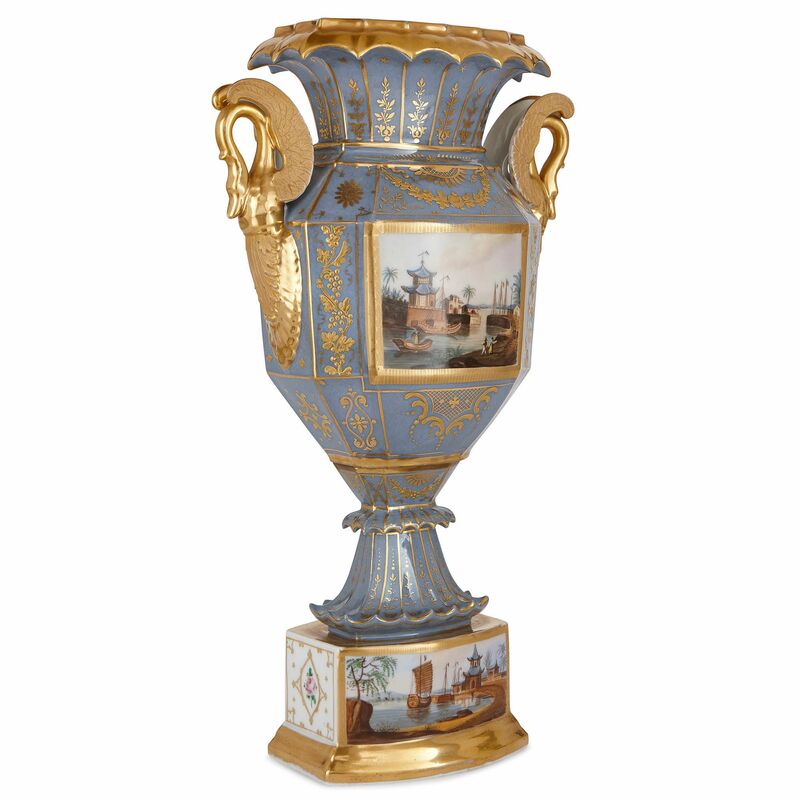 Above, the vases are distinguished from the base by their lilac colour. 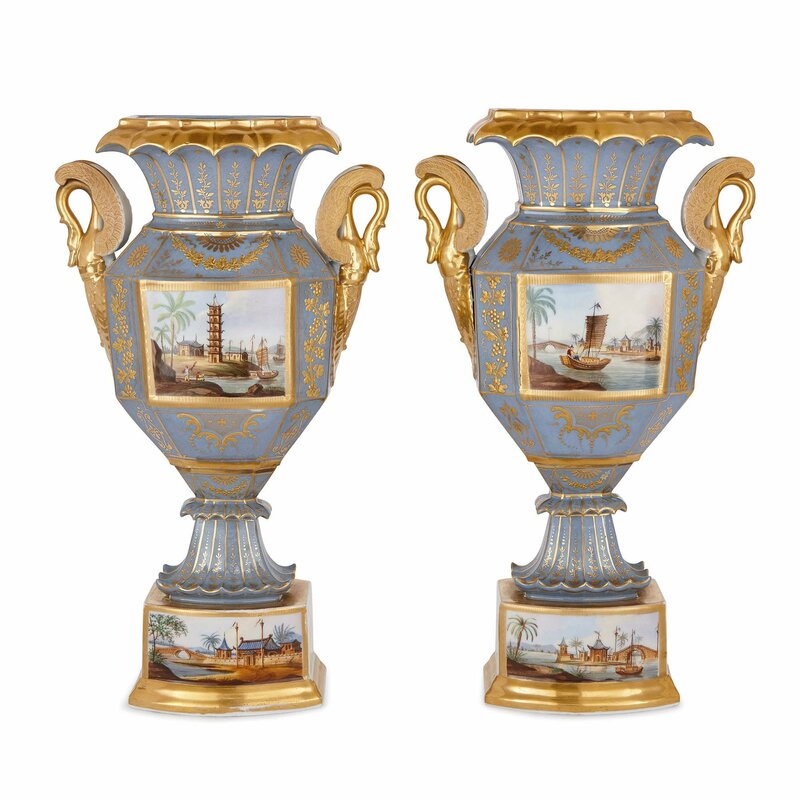 The vase feet are fluted and frilled to the tops and bottoms, with the fillets decorated with parcel gilt foliate ornament. The bodies of the vases are geometrical, with sharp rather than rounded edges. The centres of the vases feature rectangular painted panels depicting Chinese riverscapes, similar in style to those decorating the bases. These panels are bordered by refined, parcel gilt ornament, taking the form of scrolling leaves, grape vines and foliage swags. 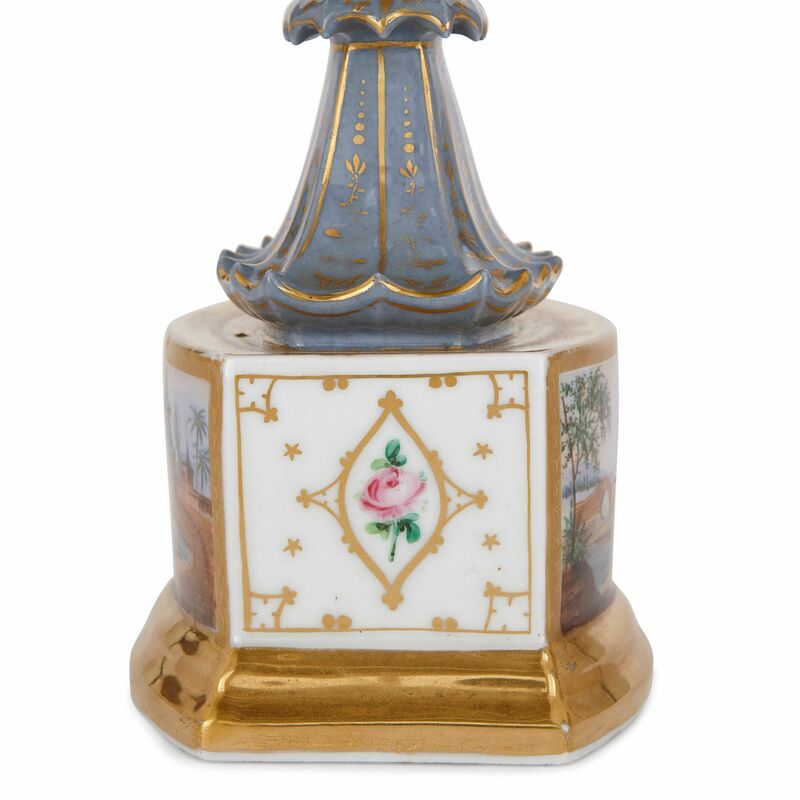 The necks are similarly ornamented with gilt foliate patterns, with the vase mouths' being frilled in similar fashion to the feet. 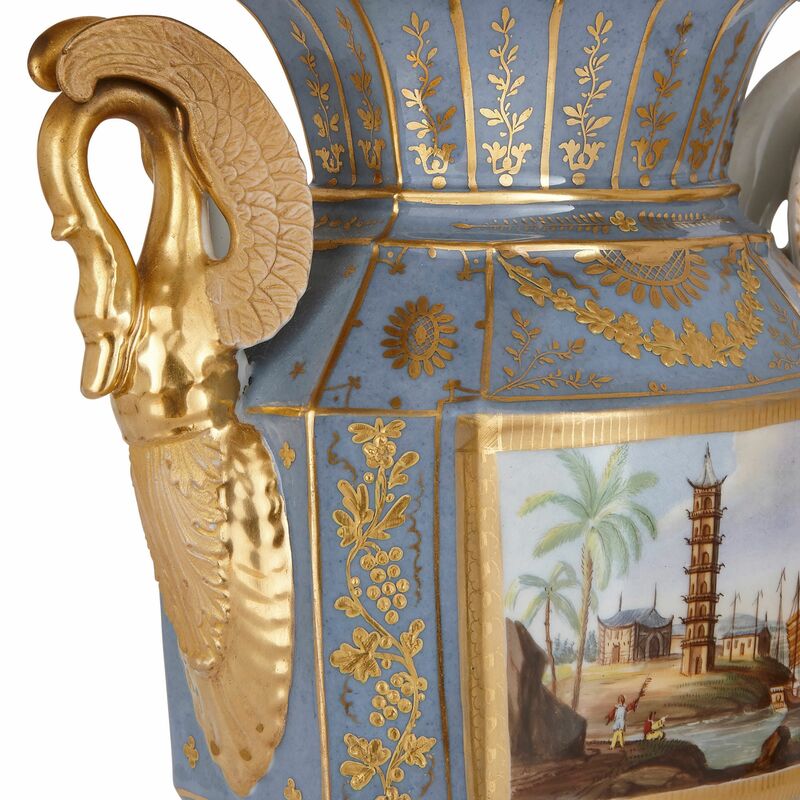 Two gilt swan handles, with curled wings and arched necks, are mounted the sides of each vase.